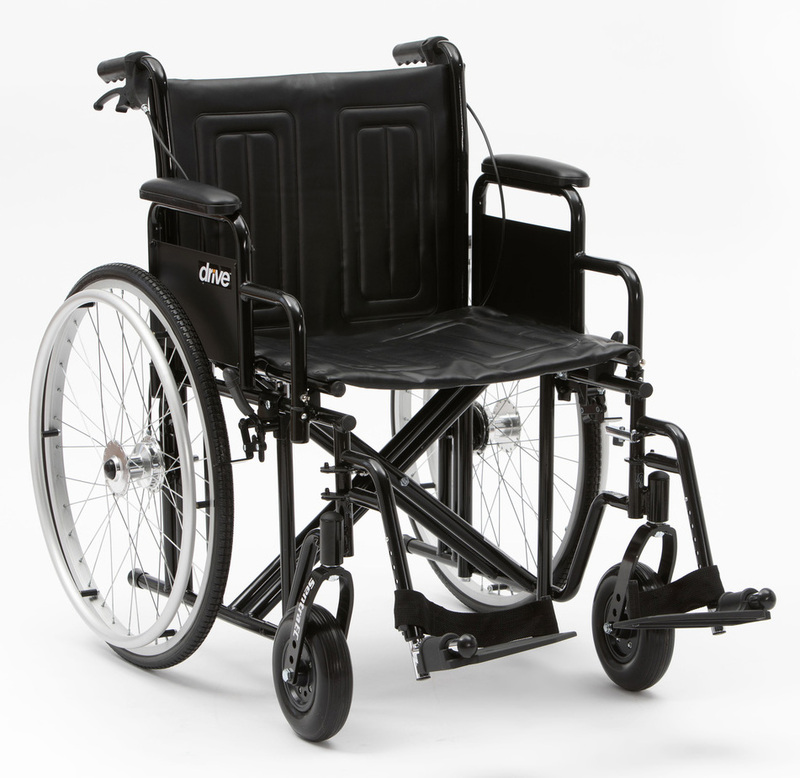 The wheelchair is constructed from a carbon steel frame with triple coated chrome ensuring a chip proof finish and features a dual axle position which allows the seat height to be adjusted. The double embossed vinyl upholstery is durable, lightweight and easy to clean and the solid tyres, mounted on composite mag wheels provides durability and low maintenance. The wheelchair comes with padded arm rests and plastic hand rims as standard and 8" front castors which are adjustable in 3 positions. Available in three seat widths - 20", 22" & 24".